Anor is ruled by Duke Alduin and Duchess Adley. Anor is a fully paid off Duchy pledge. There are also some opportunities by working for the Grand Council, check out the Organisations of Anor thread by clicking here and see what's available. As with any system of governing it is important to have a pyramid of control. Anor is no different and having a logical efficient system ensures smooth running of the Duchy. Below we can see the different levels of governing from the Duke at the very top, through the Council and all the way down to the regular but important Anorian Citizen. 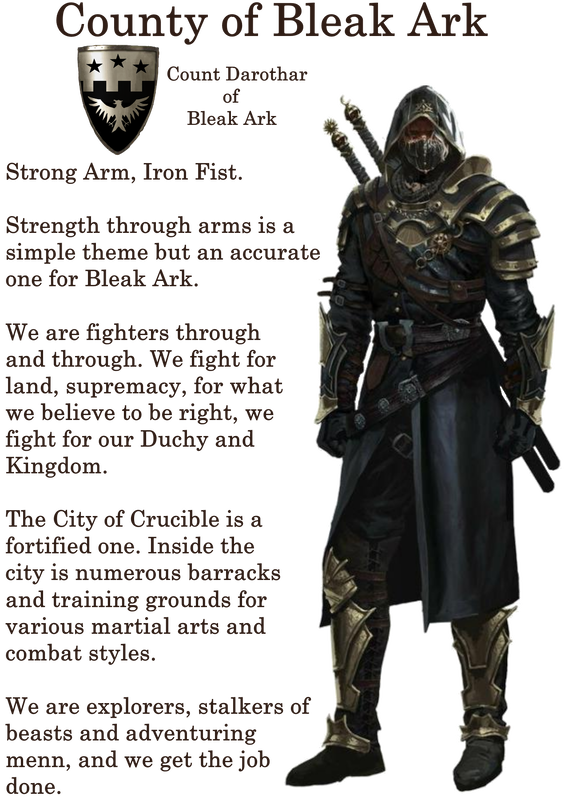 The protection of the Duchy of Anor falls under the umbrella of the Anorian Guard, All Soldier's perform a number of different missions to ensure the protection of the Duchy. The head of the Military is the The Duke and is assisted by the Knight Commander (Steward of Anor). This position is currently held by High Baron Creighton Halleck of the Barony of Londo. The Anorian Guard is the absolute backbone of the Duchy's defensive and offensive capabilities and is commanded by the Duke. It is responsible for all military missions. Aswell as the defense of the realm and going to war against would be aggressors the Anorian Guard deals with intelligence gathering and intelligence missions. With eyes and ears everywhere, scouts ensure they know precisely what is going on and who is or is not a threat. Anybody willing and able can join the Anorian Guard. Benefits include access to the best weapons, armour and training facilities available aswell as payment for completion of Missions. To learn what Missions may be undertaken please click here to visit our 'Organisations of Anor Thread' for more detailed information. Nobles or Soldier's that are spotted can become a would-be Knight of the Sun. The Knights of the Sun are an elite chivalric order within the Anorian Military and only the finest menn and womenn gain the right to join. The Knights are usually handpicked from Nobles or the Anorian Guard when they have proven themselves worthy of Knighthood. 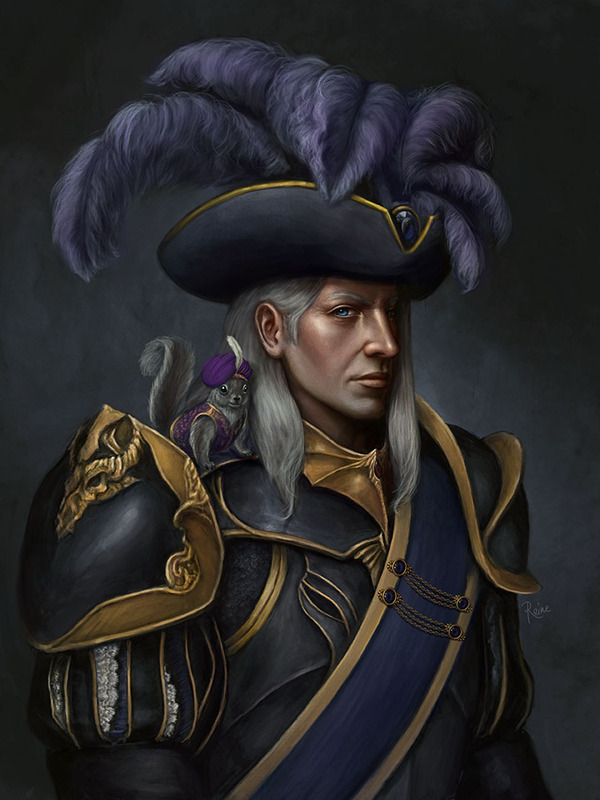 So long as they prove their valour and their sworn loyalty to the Duke and the Duchy of Anor, they will join the orders ranks and take their rightful place after vigorous training and trials. 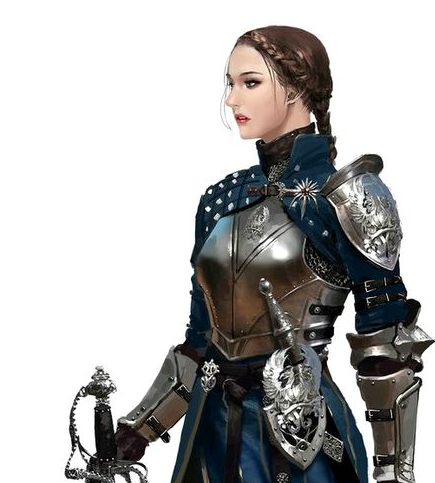 Knights are responsible for some of the more important missions, aswell as personal guard for the Duke and Duchess, should it be required and training and handing out missions to those of lower rank. All Knights gain access to a specially designed set of armour, designed by the Duke himself for such a prestigious group of warriors. Other benefits include payment for services and access to excellent equipment. Freedom is one of the foundations upon which we stand as a community, freedom to follow our dreams, develop ourselves, support each other, learn the trade we wish to perfect, build up businesses. It is through freedom that our Duchies economy will flourish, whether that's internal trading or external trading. It is of utmost importance for the Citizens of Anor to take advantage of what our lands have to offer, to perfect our trades and skills, secure resources and through exporting our strengths we can import our weaknesses and through peace will prosper and become not just a superpower, but a beacon of hope and opportunity for all Elyria. Looking for Crafting work? wanna help Craft products for Duchy projects? then come join the Anorian Guilds of Industry (AGI). Please click here to visit our 'Organisations of Anor Thread' for more detailed information. Learning is not attained by chance, it must be sought for with ardour and diligence. The more people that are members of a School/University in Elyria the faster and more greater it's accomplishments are when it comes to discovering new research and technologies, because of this it was decided that Dawn's Reach would be the location for a grand place of learning and the City now holds the largest University in the land which can be easily accessed by citizens across the Duchy thanks to the excellent road networks connecting the many settlements. 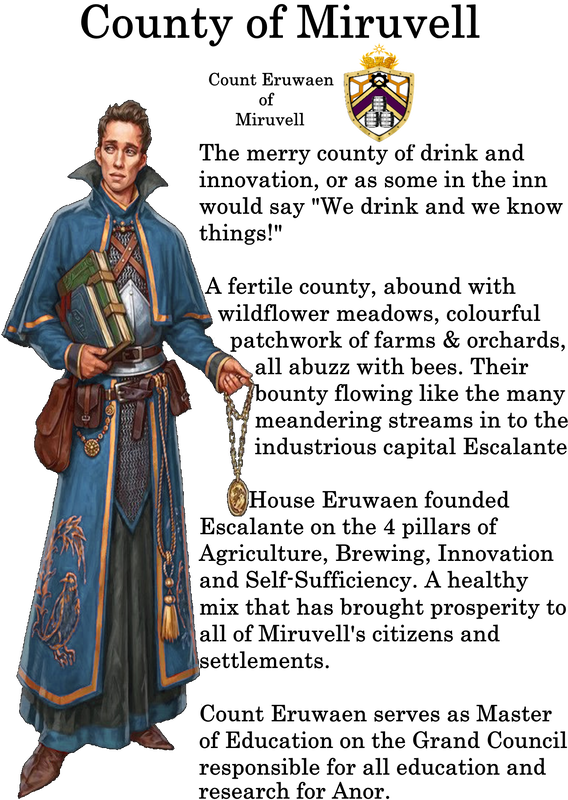 The university of Anor is dedicated to the furthering of education, research and technology within the entire Duchy. This is made up of trainers and teachers who are paid whilst other members pay to receive training and gain access to the school’s resources. The funding comes from a combination of paying members and grants from the Duchy. The main advantage of the University of Anor is that its members are offered increased and rapid opportunity for learning. This is in the form of consolidated access to skill trainers, and specialised research tools. As new technology is discovered, all students immediately gain access to the new knowledge. This will benefit the whole of the Duchy. Would you like to become a Student or a Teacher? then please click here to visit our 'Organisations of Anor Thread' for more detailed information. The Virtori are one of the five major religions of Elyria, practiced primarily by the Neran and Hrothi tribes. 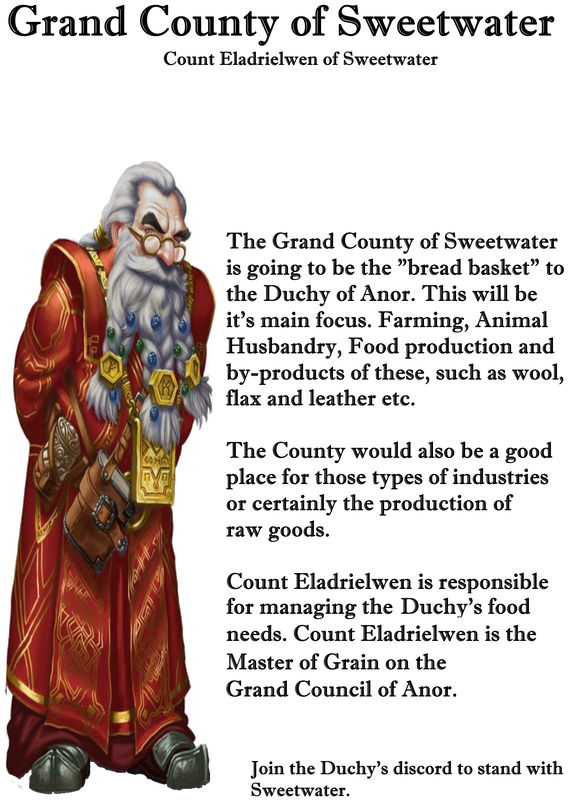 Virtori teaching is centred around the existence of powerful Gods and their Guardians, representing the 7 virtues and 7 vices. Virtori believe that there was a war between the Virtues and Vices, with Mann-kind being caught in the middle and ultimately sealing away the Vices and Virtues to protect Elyria from the Gods. The Virtori believe that this sealing split the world into Elyria, Haven (the place of Virtue), and Karcion (the place of Vice). 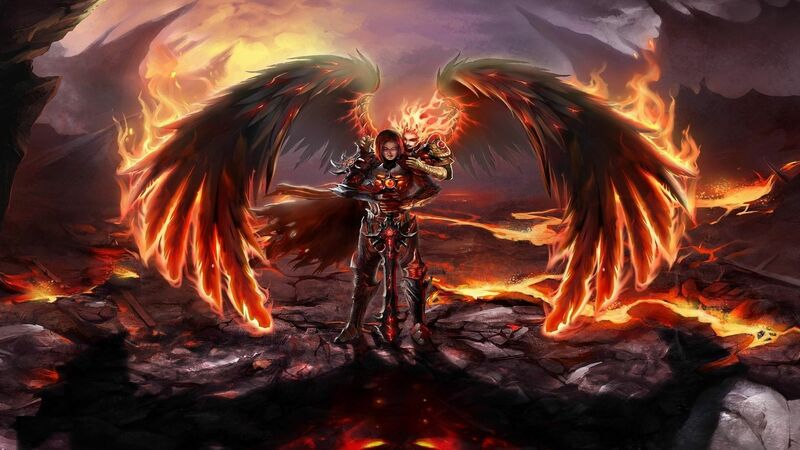 The Virtori believe that individuals are pawns that are manipulated by much higher powers. 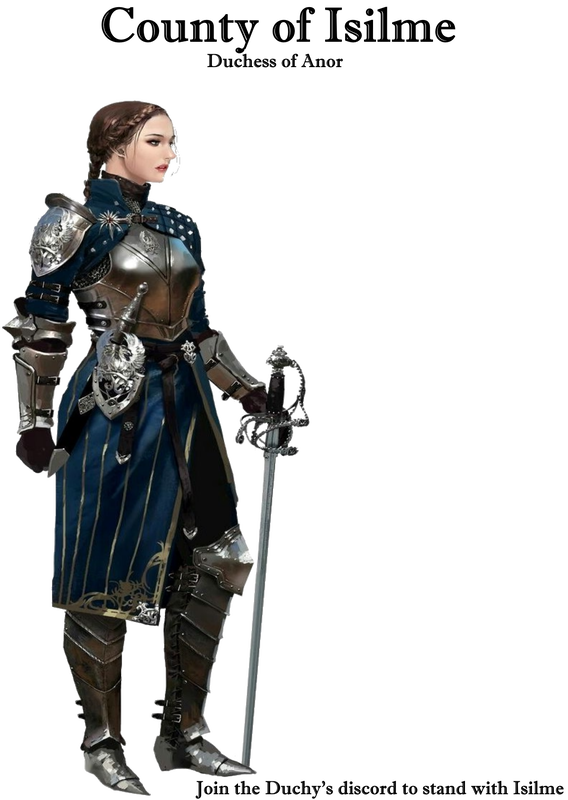 It has been stated that the Virtori fighters are the “Paladins and Clerics.” In Virtori lore, the Neran’s and the Hrothi are the Sword and Shield of the Virtues, respectively, and are often depicted as such in religious artwork. The official Religion of Anorath is the Virtori faith and Virtori religious iconography and buildings can be found throughout the Grand Counties Capital City, where the awe inspiring great Virtori Cathedral towers over all things below it. People come from miles around to visit the Cathedral and practice their faith. As Anorath and Dawn's Reach act as the Duchies Capital the Arch-Bishop often resides here within the largest Cathedral in the land. Interested in joining the Church and becoming a Virtori Priest or Bishop? then please click here to visit our 'Organisations of Anor Thread' for more detailed information. What is expected of you? What will your life be like in Anor? Anor is of the light, the very core of our culture is goodness. You are free to build for yourself homes, businesses, families and friendships but where necessary pay towards the functioning of the Duchy and it's great Cities. You're free to live your life as your righteous soul desires. All that is expected, is for you to hold this place dear and protect it and everyone in it with every fibre of your being should the need ever arise. Every action you take will prosper both yourself and the Anorian community at large and forge a nation our enemies will tremble at in either awe or fear. Infrastructure is of vital importance to the Duchy, as such roads and bridges are and will be abundantly constructed as and when required during periods of expansion. As has been previously mentioned, Anorians are expected to contribute towards the functionality of the Duchy, this will be through a form of tax, a low as possible tax, which will allow us to afford this modification of our beloved home. It is also imperative for trade purposes that connections are made to other settlements within the border of our Duchy and beyond. 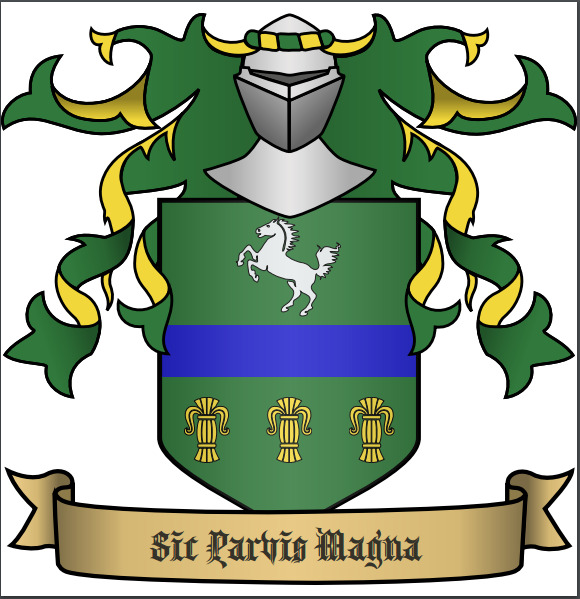 Are you interested in becoming a Mason and helping build projects within the Duchy? then please click here to visit our 'Organisations of Anor Thread' for more detailed information. Connecting the Duchies Capital City of Dawn's Reach and County Capital of Isilme is the Two King's Road. 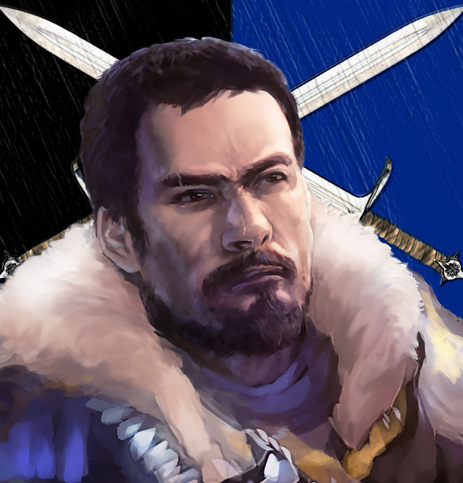 The road was named in honour of the alliance that was once formed between Line of Alduin and Line of Adley when they unified their forces to oppose a joint enemy who threatened their very early existence. The alliance which was formed between the two was forged when both these menn met each other during the night at the midway point between their respective settlements, it is here where now stands the Two King's Inn that both menn signed their names to an agreement that would eventually bring them victory against a common foe. It is following this agreement and victory that Line of Adley would later be married into the line of Alduin. Today the road is used by many people wishing to move between the settlements whether it be by tourists wanting to see the other City or traders moving their goods. The Two Kings Inn located at the central point of the road between the two settlements is known for it's delicious food, fantastic ale and pleasant welcoming atmosphere. Along the roadway on either side, many citizens have been given the opportunity to develop the land, being able to purchase parcels and build homes and farmsteads along the entire length of the route meaning travelling the route is both interesting and safer. Positive, Ethical and Honourable Guilds are always a welcome addition to any community, they promote community cohesion through socialisation and contribute to the development of our society. Guilds are free to build a Guild Hall within the Duchies Cities as long as they will consider themselves (as an organisation) loyal to the success of the Duchy just as it's individual people are and swear to protect it just as any other Anorian would. Want to earn money? check out the Organisations of Anor thread by clicking here and see what work is available from the Grand Council. 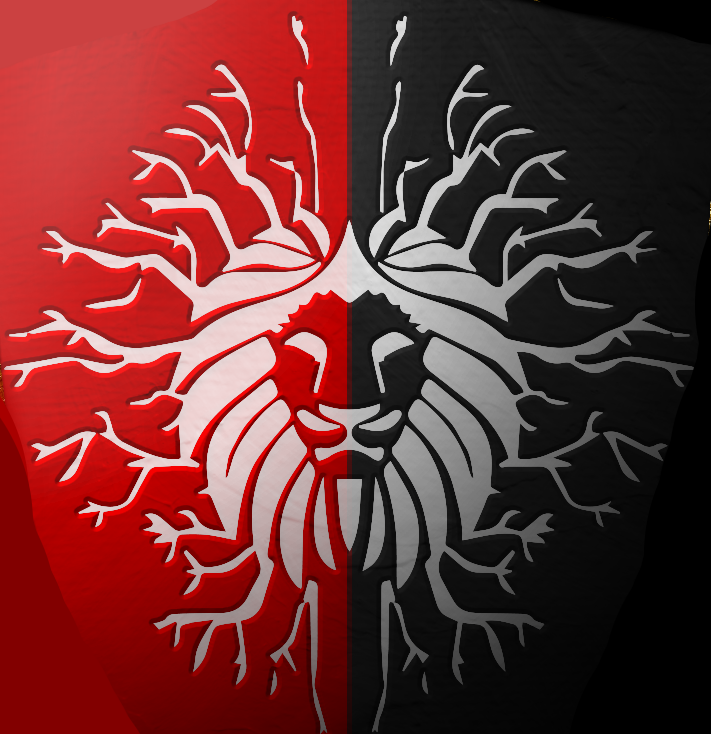 If you wish to join The Duchy of Anor and become one of it's Citizens then please feel free to join the Duchy of Anor Discord. Please click the Discord image above to gain entry. Thankyou. I like the lord of the rings style. I will one day take you up on that offer. I hope the journey will not be to far or it will literally be another trilogy. Nice presentation ! good luck with your recruitment my friend. Thank you Vanharsen  you too. Very excited to help build the greatest Duchy Elyria will ever see! I always figured your Duchy would be Great Britun, but yeah this could be good too. Erm no that'd be lame dude. You crazy. We are still seeking Elyrians to join the Realm of Anor, County of Albion and County of Inglund. All our welcome if you wish to help build a noble and stable Duchy. I see that you have a mayor package. You are more than welcome to join our Duchy. 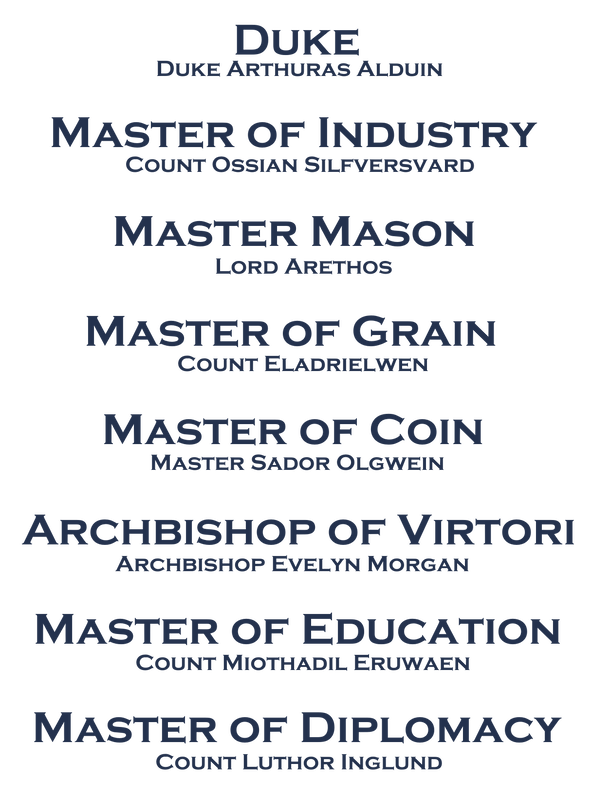 If you wish to settle as a mayor within the Grand County of Albion please contact me on our discord.